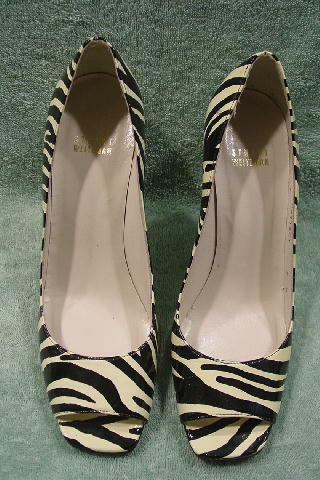 These open toe pumps are by Stuart Weitzman and were made in Spain. 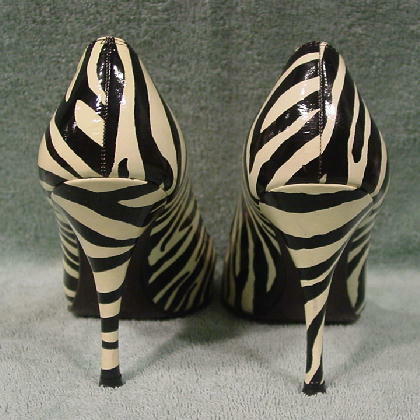 They have a patina exterior in a zebra pattern in black and offwhite. 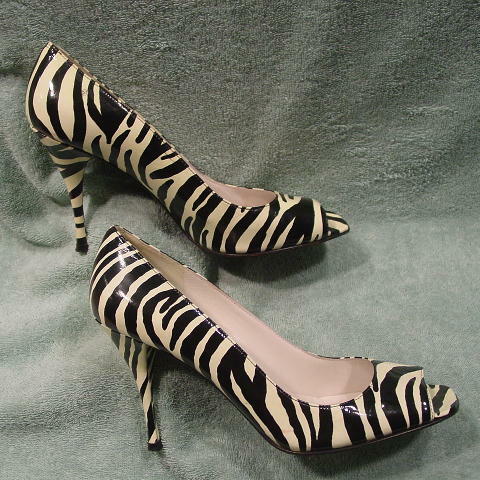 There are white leather linings and insoles and the soles are also leather. The insoles have some padding. The right shoe has a dark mark on the heel and a light red mark on the outer side. 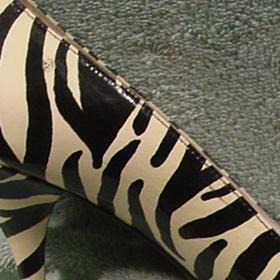 The left shoe has several dark areas on the inner side and a light grayish mark on the heel.